A sculpted depiction of the risorius muscle, highlighted in orange clay. Insertion: the corner of the mouth, blending with orbicularis oris. The job of the risorius muscle is to pull the corner of the mouth straight back. We regularly use it for grinning. The image above is from one of my sculpture workshops and highlights the risorius muscle in orange. 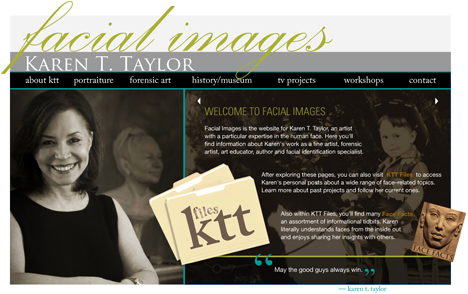 I have always enjoyed teaching facial anatomy in my workshops and love the idea of demystifying things for artists. I’ve developed simplified ways of teaching facial musculature both in drawing and in sculpture. In class, we unravel this somewhat complex material using a hands-on, easy-to-understand approach. I like to include facial photos of how the muscles actually work because I believe this really aids in understanding them. I love the way this photo of jazz great Dizzy Gillespie reveals the placement of risorius across his amazing cheek structure. As trumpeter Gillespie fully distends his cheeks with air, we can clearly see the linear horizontal depression created by the risorius muscle. The fibers of risorius seem to hold in place as the air-filled cheeks rise above and below the muscle.